We all want our child to be the best they can be, but how can we discover and encourage their natural talents? Clinical psychologist Andrew Fuller believes that every child has an innate sense of inquisiÂ­tiveness, creativity and lateral thinking that forms the basis of genius. However, social conditioning and school life can lead to a desire to conform and fit in which can squash their curiosity. 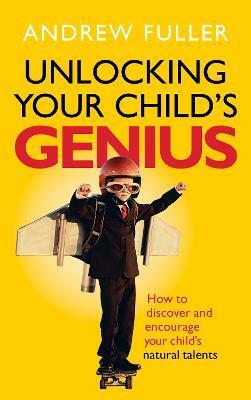 For parents and grandparents, Andrew Fullerâ€™s new book holds the way to unlock their childâ€™s genius. No the answer is not homework, more after school tutoring or blaming the school. Yes the answer is thinking, talking and listening, and delightfully making mistakes together. Covering the age range of 2 to 18, Andrew draws on the latest research and his own extensive work with thousands of children in private practice. He shows parents how to recognise the qualities in their child that predict genius â€“ creativity, motivation, determination, imagination and the willingness â€“ and build on these essential foundations regardless of which field their talents lie in.